To reset the car you hold down all 3 button on the ceiling buttons including the sos and hold 10 seconds with the key on. Not sure if that’s a good idea though as now my apps are forever loading and not loading. Didn’t work before anyhow. They told me to do this at me connect. I am on Android. Deleted MB Connected (USA) app, rebooted phone, reinstalled. But still dont see "Send Address" or "SmartHome" options in the settings page. I dont care about sending address since I only use Waze, but Smarthome would be nice. I do know that Smarthome is active service as I logged in to the website and checked. 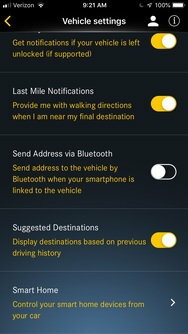 Does anyone on Android have this "bluetooth direct to vehicle" setting? Go to Control setting, access your apps via the Globe icon, let them load, hit settings line down below and then you'll see reset apps. I've had my car for 1.5 years now I must say I am very underwhelmed by the "connected" side of it. Both the Mercedes me website & the phone app have too many problems. but when the problem does not get solved, and Mercedes no longer knows what to do, they stop replying altogether! 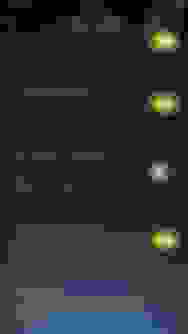 Here below is a list of things that are not working or not working properly. 2 - the app sometimes shows doors or windows are open when they are not. 3 - the app sends messages that doors are open when they are closed. 4 - on the mercedes me website there's info about services that do not (yet) exist. 6 - the POI app in the car has become useless, because it's no longer possible to send addresses there from the mercedes website. The service was deleted from the site, yet it is still mentioned & explained. I'm just glad that your cars are not built like your website/app, cos it feels like the "connected" thing is just a BETA version thrown in for free! That is a great letter Egon!! Please update us if you ever get a response. Most of us truly love our cars and likely will continue to drive Benz's as there's just not much else like one. But we will likely be stuck with less than stellar connected services as it's simply not their forte. It has never been their forte and has always appeared to be an afterthought service at best, programmed by some dude in some basement in some unnamed city in Germany. My brother pokes fun at me all the time. He has a Kia with the Kia App, which never suffers the issues MB Apps do. I let him poke, because I know I've the better car in my Mercedes! Last edited by rbrylaw; 02-13-2019 at 12:45 PM. It is is not necessarily EU/US because the iPhone image shown is identical to mine and I am in the UK. Does seem really strange why some have more issues than others. and if so do you have an app dedicated to that special model ? Mine is a MY 2019 with Command Online, but I just downloaded the App from the App Store and use the Mercedes Me Portal online! Does anyone notice the app won’t open a lot of the time? They had told me when calling to try resetting the module in my wagon. Now everything won’t load to reactivate the car. What a disaster this whole app is. In reading the reviews in the Apple App Store most seem to agree. In the iOS App Store, there's yet another Mercedes Me update today. v.2.4.7. Am reluctantly letting it update. Yes, I have the 2019 E-450 CAB . It does say on it's website "To become a Mercedes me connect user, you should own a model year 2019 or newer Mercedes-Benz vehicle." "Note: Select 2018 GLE and 2018 C-Class vehicles are also equipped with Mercedes me connect services." So it sounds as if the app is specifically tailored to the newer 2019 and above vehicles. Some of these features may not show up in the app if used on older models . This was the Mercedes Me App, not the Me Connect App. I have and use both apps since we have the 2018 E400 and and 2019 E450. I have the Mercedes ME app also, but it is rather worthless...it just gives "my dealers", "owners manuals" and a connect button that takes me to the Mercedes ME connect app. It also gives me a roadside assistance button and a schedule service. Does it show different functions for the 2018 E400 model? Is the Mercedes ME for older cars? Do you have the Mercedes ME or the Mercedes ME connect app? Last edited by rustybear3; 02-13-2019 at 07:09 PM. Yes, Mercedes Me, is the Me Connect app for pre-2019 cars. You can send addresses via Send2Benz. Lock/Unlock and start the car. It doesn't offer as much information as Me Connect. Confusion reigns because in UK the latest app (for all cars inc 2019) is just called Mercedes Me. This has all the functions you seem to have in the US with Mercedes Me Connect. I think the naming convention depends very much on the region of the App Store. I remember someone saying they could only get the parking app by logging into a Europe based App Store and downloading from Daimler site! I don't know if you ever got the answer but the S-Cab is the only Cab that the"kick" will close the trunk as well as open. I wish that work loading the euro app in the USA and then having the remote parking pilot. I’m still trying to get the USA app to work on my wagon. Works on my cabriolet ok. On today’s call with mb I’m gonna try and make a deal with them substitute the wagon for the cabriolet and make the cabriolet the non working car. Lol. Every time I call they have me try something different that never works. Going on 6 weeks now app not working with the wagon and that’s the car this app would be really useful having it work. The EU app (which I have) will never work on a US model vehicle because of the mbrace registration is for a US vehicle. When one tries to use it an error message will be issued by the app. I got the app for traveling in the EU, but it does not work there either because the rental vehicle is not registered to my account. Confusion reigns because in UK the latest app (for all cars inc 2019) is just called Mercedes Me. I remember the day when I brought my new car home and wanted to install the app on my phone. After everything I had read on this forum, I knew that I would be looking for Mercedes Me Connect, not Mercedes Me. Imagine my horror when I couldn't even find it on the Play Store - I did not want to be installing the wrong app. It took a call to Mercedes Me support to assure me that in the UK, the app we have/use is just called Mercedes Me. Overall I'm happy with the app and it's never given me any problems (hopefully doesn't start now). Do I wish it could do more? Absolutely! But, it's a hell of a lot better than the BMW app I was used to.